Public Speaking is the number one way to get more coaching clients, generate additional revenue and position yourself as an expert in your field. Many coaches know the power of public speaking and may be ready to get out there, but get stuck on the how, what, when, and where. Feel stuck on the how-to’s and best practices? Don’t know how to make money at it? Feel unsure how to use speaking to attract coaching clients? Don’t have a clear blueprint or plan of attack? Don’t want to learn by trail and error? How do I start? What is my message? Where can I find opportunities to speak? How do I get clients? Do I charge a fee? All of the above is important to consider if you’re going to make public speaking a marketing tool to grow your business. And you absolutely can…with a little help. Having spoke to over 250,000 people, I bring over a decade of experience on the speaking circuit directly to you in this two part tele-class The Nuts and Bolts of Public Speaking to Fill Your Practice. Learn specific tricks to promote your coaching before, during and after the talk. Jennifer Powers delivers the goods! 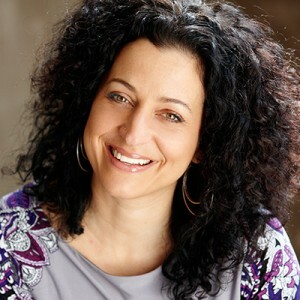 Jennifer Powers, MA is a best-selling author, certified coach and speaker. She combines over twenty years’ experience in self-development and entrepreneurship with masterful coaching skills to help professionals build confidence and competence in all they do. Her services include one-on-one coaching and powerful, interactive workshops, keynotes and group coaching programs that are tailor-made to meet the needs of each client. Her areas of expertise include self-empowerment, coaching, and communication. With clients on five continents, the infectious energy and excitement that Jennifer brings to her work inspires change in the lives and businesses of people across the world. Jennifer earned her Master’s Degree in Sociology from the University of Houston and is a faculty member at Coach Training Alliance. She has served several terms on the board of the Northwest Coaches Association and is a past president of the National Speakers Association-Oregon Chapter.